There is nothing more surprising for a first parent than a sprinkling wee-wee! So prepare and protect them from the horror with our Pee-Pee Teepee! 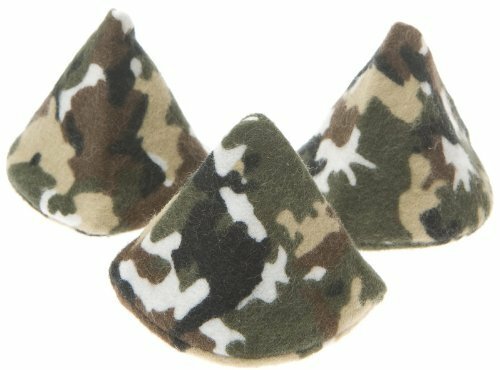 These cone-shaped tents make diaper changes dry and easy! You’ll receive 5 Pee-pee Teepees in a clear bag with the Pee-Pee poem. Changing a baby boy is an even bigger horror story. Each measures approx. 2″ in diameter x 2″ tall. 100% cotton. Washable and re-usable.Changing a baby girl is not all glitz and glory; changing a baby boy is an even bigger horror story…until now! Camo Baby Stuff is a participant in the Amazon Services LLC Associates Program, an affiliate advertising program designed to provide a means for sites to earn advertising fees by advertising and linking to Amazon. Certain content that appears on Camo Baby Stuff comes from Amazon Services LLC. This content is provided 'as is' and is subject to change or removal at any time.